A teenager has been arrested following an attack on three youths in Littlehampton this afternoon, police said. Police were called to a report of a stabbing in Terminus Road at 2.45pm on Wednesday (28 March). A 17-year-old boy, initially believed to have life-threatening injuries, and a 16-year-old boy suffered serious injuries from being stabbed, police said. They were taken to Royal Sussex County Hospital, Brighton, where they remain at this stage. 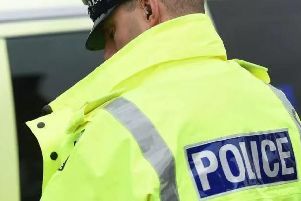 A 16-year-old boy suffered minor injuries – but was not thought to have been stabbed, police said. It is believed the five are known to each other. The suspect, a 16-year-old boy, has been arrested on suspicion of three counts of grievous bodily harm with intent, confirmed police. Anyone who witnessed the incident is asked to report information online or call 101 quoting Operation Sudbury.